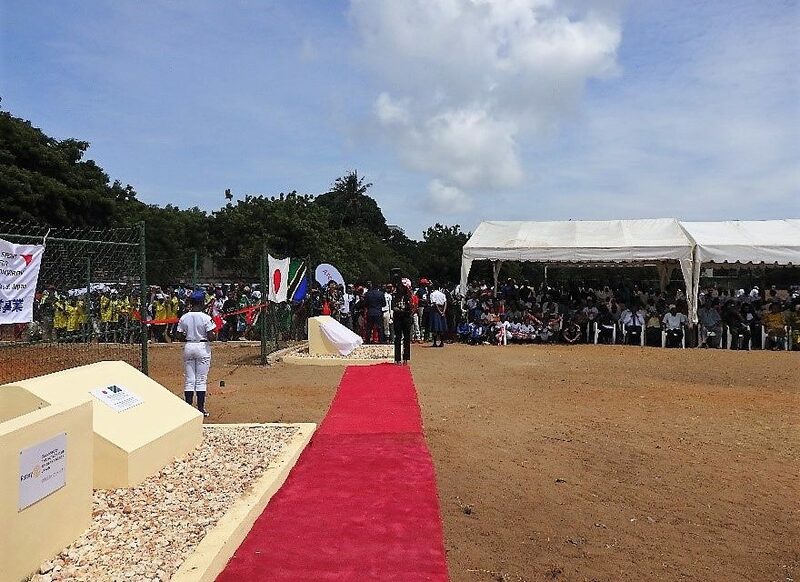 The Tanzania Baseball and Softball Association announced that construction started in April and was completed within 15 September. The new stadium features 180 seats for general attendance and 100 VIP seats in the shade. The standing places are up to 700. The Osaka North Rotary Club of Japan supported the project with 18,000 dollars, which covered various items, including the base bags and the pitching rubber. Kassim Majaliwa, the Prime Minister of the United Republic of Tanzania, was at the opening ceremony. The wife and one son (Bussaro) of David Robinson attended the event. Robinson is amongst the supporters of baseball in Tanzania. Born in 1952, David is the youngest child of legendary Brooklyn Dodgers Jackie Robinson and his wife Rachel. Since 1983, David has been involved in the economic development of Africa throgh sustainable agriculture and is a Coffee Farmer at Sweet Unity Farms. The father of 10 children, spends his time between his home in Dar Ed Salaam and the coffee farm in Mbeya.